"Crawl Back In" is described by Chester Bennington as a "straight-up rock" song. In the lyrics, he openly talks about a dark period in his life and his slow climb back into the light. He said, "It's a song about questioning your authenticity. I do that every once in a while; I wonder how many of my own thoughts are really my own, and how much influence do the people around me have on the person I am. There's a lot of that on the record. There's a very dark side [to it], and there's a very light side on it. There are songs about being in love and there's songs about hating people. It's a very strange juxtaposition. And that represents what had been going on in my life over the past couple of years — really great moments happening at the same time as these really terrible things were happening." In Linkin Park, the band would work in the music first to create melodies later, but Chester's process in Dead By Sunrise was different. To exemplify this, he explained how "Crawl Back In" came together. "With Dead By Sunrise, I can hear anything in my head and sit down and play it on the guitar. If I like it, I'll take it in. If it's a really mellow song, then I'll bring it in. I don't care if it's folksy and mellow. For example, when I wrote Crawl Back In I heard that (sings melody) in my head. I was like, This is cool. So I sat down and wrote it out. I put the pieces together and brought it in, and we started working on it. I was just like, I like this thing. I like the sound of it. It's cool." When the initial tracklist for the Transformers: Revenge Of The Fallen soundtrack album was leaked on May 15, 2009 by music.server.sk, "Crawl Back In" was listed as the 10th track. This was the first planned release of the song in any form, but the band ultimately decided not to do it. The track was released through the band's official MySpace page on August 16. The music video for "Crawl Back In" was shot in the Vasquez Rocks Natural Park in Los Angeles, California. The band worked with the production company Bau-da Design Lab. It was commissioned by Devin Sarno, directed by P.R. Brown and producer by Christina Wagner. Jaron Presant was the director of photography. The video was shot back to back with "Let Down" on Tuesday, July 14th and Wednesday, July 15th. 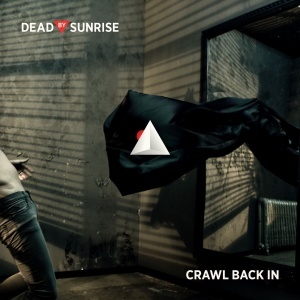 The planned release date was September 8th through Dead By Sunrise's official MySpace page, but the video leaked a few days earlier, on September 5th, on YouTube. Mislabeled as being from the Sonisphere UK show on August 01, 2009. Recorded at the Ferropolis show on August 02, 2009. The UKU/Sonisphere EP was released for free download on July 27, 2009. Live version "Crawl Back In" later sent via e-mail to the people who downloaded the EP. iTunes pre-order bonus track for Out Of Ashes. Labeled "Crawl Back In (Live)" on iTunes. Labeled "Crawl Back In (Live Version)" on the digital single. "Crawl Back In" got its live debut at the Club Tattoo grand opening celebration in Las Vegas, 2009 as the opening song of the show. The song was played acoustically, though the studio version of the song debuted at the Stuttgart show of Linkin Park's 2009 summer tour, where it was played as the second song of the first encore of Linkin Park's set. After that show, the song was used to open the first encore. Once the band embarked on their promotional tour for Out Of Ashes, "Crawl Back In" was used to open the show with an extended intro. At the show in Columbia, "Crawl Back In" was moved to mid-set for the first time ever at a full show, being played after "Too Late", while "End Of The World" opened the show instead. Starting with the band's 2010 Asian tour, "Crawl Back In" was used to open the encore of the shows, a position it maintained throughout the Asian and European tours. The song was included as the last song of the Stars Of The Season Gala event, being played acoustically. "Crawl Back In" was used for a promo for TNA Wrestling in 2009. ↑ Chester Bennington on Twitter: "@violethill1234 we were considering it, but I decided not to do it" . This page was last edited on 1 December 2017, at 04:34.